Sitting amongst my top 3 favourite things about Australia has to be the brunch culture and just how well the ozzies do it. You know that feeling when you rock up to a cafe, take a browse at the menu and feel instantly excited / confused because you know deciding which dish you want is going to be today’s most difficult decision? 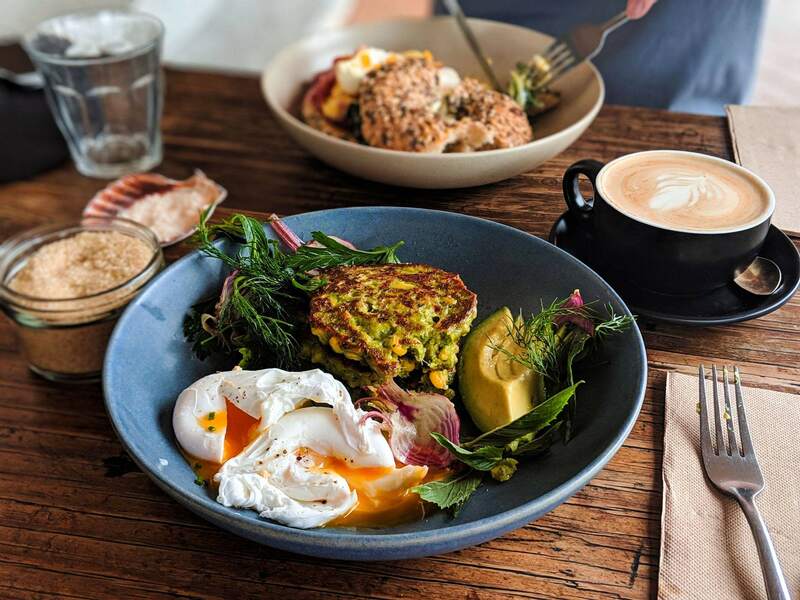 Yup, that’s how good Australia does brunch. The menu’s down under are fully infused with matcha, dukka, hummus, smashed avo, beetroot concoctions and just all around goodness. They are so creative with their combinations and best of all? It doesn’t have to be a guilty pleasure. You can eat good, feel good and live good in Australia. As with London, Sydney showcases a diverse choice of eateries and filtering through them online to find the good’uns is somewhat impossible and can be well, very time consuming. This is where social media comes to the rescue and I thought I would help you additionally by listing a selection of my favourite spots. Walk through the Botanical Garden down to the waterfront and turn right as if to walk to Mrs.Macquaries point. The coffee pop up is there on your right. My recommendation: The Green n Lean machine!!!! Pick your own salad bowl and take it down to bask in the sun with on Bondi Beach! Get the ferry across to Watson’s Bay for the day and then toast to the sunset at this gorgeous waterfront boutique hotel. It’s not coffee or brunch but it’s FREAKING AMAZING and you CANNOT MISS IT. Watch the ice cream come to life before your eyes as the ice-cream chefs (is that a thing? it is now) whip up one of the weekly specials for you. The one below was a Ferrero Rocher extravaganza! Perfect for a pre Coogee to Bondi fuel up! See their menu here.